In co-operation with EMIS, our computer system supplier, we provide a service that enables you access to your healthcare online. Before using the service you must be registered as a patient with the practice and be aged 16 years or older. You can apply for online access by visiting either surgery with proof of your identity. Once you've created an account you will be able to use the on-line services of the practice. You will be able to book routine appointments with a doctor and order repeat medication. You can also view your repeat medication list, any allergies or immunisations that we have recorded for you, test results and a summary of your coded clinical record. If you need to book a longer appointment or an appointment for a special purpose, such as a medical or with the Practice Nurse, please telephone the surgery as these cannot be booked online. Click on the link at the top of the page to access our online system. You may prefer to see your own doctor but you may consult any doctor. 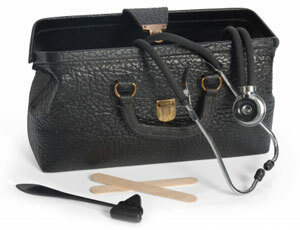 Medically urgent cases will be seen by one of the duty doctors on the same day. If you are unable to attend your appointment for any reason, please let us know as soon as possible and we can offer it to another patient. A nurse is normally available to deal with minor injuries and accidents. In some circumstances it can be advisable to go straight to the Accident and Emergency Department. If in doubt, please telephone for advice.